In today’s society, roles are mainly divided by gender: men are supposed to behave in a way that is called “masculine” and women are expected to do their part by supporting this model. When put in perspective, both seem to be going in circles, perpetuating old traditions and subconscious patterns. What are the chances that someone might break free and experience something entirely new? There are definitely more options for women, while for men the dichotomy of toughness and weakness continues. The word sisterhood is easily translated into images. Women have created it in order to support each other in a world that in many ways feels dangerous and at the same time, exciting and new. Just take a look around and see how your sisters, mothers, girlfriends, spouses, friends, and co-workers usually behave. They have created a network of female companions in order to celebrate the good times and be there for each other in the hard times. In spiritual communities this is even more evident, and these connections are explored in women’s circles. Today, women gathering together to share is seen as a significant tool to elevate female consciousness. Thanks to a new way of approaching digital tools to create bonds rather than just for distraction, women have found a community to rely on no matter where they live. If we lived in Ancient Greece, these women would be the glorious muses of Delos, with Wi-Fi, laptops, and a great power of communication. And what about men? What would they be doing? Hunting? Drinking beer while watching the Olympics? Listen to the Heart’s Roar! Surprisingly, this scene is still being played out (particularly while you are reading this). In a manly world, bonding and self-expression occur through many channels, always mediated by something external: sports and work, which are great triggers for competition. Men were taught to compete to be the best, and in this way they ultimately end up fearing each other. If you see it with your heart, you’ll find that men actually have feelings that need to be acknowledged. It seems absurd to even mention this, but it’s necessary. Men are sensitive creatures. Why is it that in our society there is no place for expressive men? Although it seems like that on the outside, inwardly there’s another story. Men who are on a spiritual path, conscious Shivas that look inside, are also on the hunt for a space to share with other men (and only men). And even for them, a place of true expression is hard to find. -I am stuck in a job I feel no passion for. When someone asks me what is my passion, I have no idea. I don’t want to stay in this job but I have no idea what I should be doing. -I often regret my past and this stops me from moving confidently into the future. I don’t know how to let go of my past. -I don’t feel like the others anymore in my environment. I feel like I don’t want to be in this body anymore… I feel totally alone. After a period of deep stillness and deadly silence, the sharing begins with each man individually expressing different aspects of his life. Some of them discuss problems or past traumas, some men celebrate victories, some men choose just to listen, some men offer words of general support, and others simply check in with their feelings in the moment. Each man speaks in such a way as not to put any blame on anyone or anything for his life’s journey. Pure gold! Here is the greatest insight: listening. More than anything in the world, men want to be heard. Yes, they want to provide for the family, be good at their jobs, maybe quit everything and travel or just be disciplined meditators, but they want to express their inner truth, without being attacked or judged. Moreover, men want to heal. There are many factors that have caused them pain. Their suffering has its roots in the misunderstanding of their role in society. From difficult experiences with their peers back in high school and college, where competition was fierce and intense, to unresolved issues with their mother or their father/brothers, most men have created a feel-nothing world, in which total self-expression has not been possible. Male bonding goes beyond the fulfillment of their own needs, although this is the key to starting a collective change towards true understanding. The benefits of circles of men reach new heights. Not only do men have the chance to share in a safe place, but they also have the opportunity to recognize themselves in others. Breaking down the walls between men is really significant because this increases their trust in themselves and others. Circles of men are a necessity in a society that is centered on silencing the voice within. When the true roar of a man’s heart is awakening, he is able to cultivate awareness, understand his life path, and come to terms with both his past and his limiting beliefs. He will be set free to authentically live in his own skin, through his True Self. He will be the leader he always wanted to be, not to rule others but to inspire them. If you are a man who feels open to this approach and wants to explore your True Essence, or if you are a woman who sees these attributes in the men around you, check out Wild at Heart, a retreat for like-minded men to come together as brothers to reflect on their journeys into manhood, to listen to other men, to share their own stories, and to be heard in a safe and non-judgmental space. Great topic! I have definitely put men in that “box” of not being on the same journey emotionally and spiritually. I’ve come from very male dominated living and working environments and I feel that maybe my attitude Comes from the minds need to be superior? Well, we can also add meditation while adventuring. 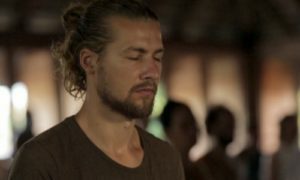 Here is what I came across while i was on a adventure trip, I found a reinvented meditation method. 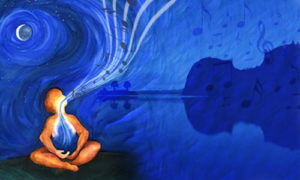 It is dramatically different, a Meditations fuse specific elements in music and tones. Great topic! Thanks for sharing and hopefully you will share more in future also.